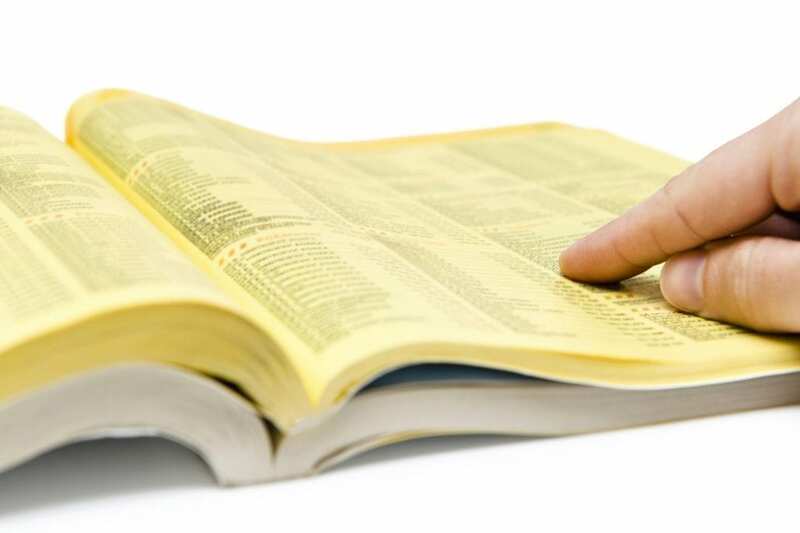 Do you remember when the only way to locate a business was to open the Yellow Pages? Remember when we kept them next to the phone and used to flick through the pages so diligently? Today, the size of the Yellow Pages has reduced dramatically. When it arrives on our doorstep, it most likely goes straight into the recycling bin (or maybe it’s your new doorstop). So why is advertising in the Yellow pages considered good for your business? The Yellow Pages was essentially a directory of businesses in print. You paid a certain amount of money, bought an ad space and that was the main way to advertise your business to the masses. With the rapid increase in the internet, the use of print media in general, has greatly diminished and that includes print directories, such as the Yellow Pages. Traditional media has lost a lot of ground over the last 10 to 20 years with an exponential growth in the amount and variety of information that is now available at our fingertips via the internet. Even newspapers have gone online in response to a reduction in hard copy sales. Today, the opportunity to increase your brand awareness and to share your brand with the community lies with the internet, not in traditional print media. If you want to compare the return on your investment between advertising your business in the Yellow Pages and with online advertising platforms such as Google AdWords, then simply compare the cost per lead between these two platforms. It is fair to say that with an outlay of around $8000 for a Yellow Pages advertisement, you might receive 50 leads in a year – that is today, not twenty years ago. This means that each lead costs on average $160. With the average cost per conversion in Google AdWords being around $10-15 – that equals more like 850 leads, not 50. If nothing else persuades you that your advertising money can be better spent, this dollar cost per lead should be evidence enough. On top of this, once your print ad is published, that’s it for 12 months. Compare that to online advertising where your campaign, budget, goals, demographics and more can be changed literally at any time. If you’re not getting the right results, you adapt — quickly. The take home message is that businesses need to identify their goals and create a marketing strategy that achieves these goals – and in today’s marketplace, not one that is 20 years in the past. For more information on social media marketing or website design in Brisbane, phone us on (07) 3333 2932 or request a free quote online.